I finally got around to swatching out the comparisons that some people asked for of the China Glaze Electropop colors! 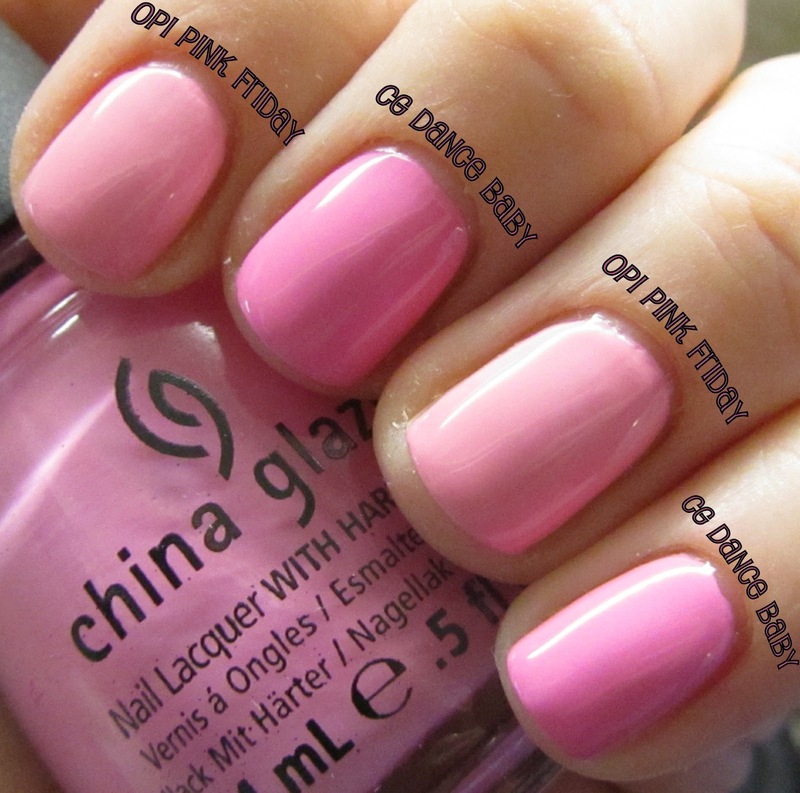 First up, the pinks - CG Dance Baby vs OPI Pink Friday from the Nicki Minaj collection. 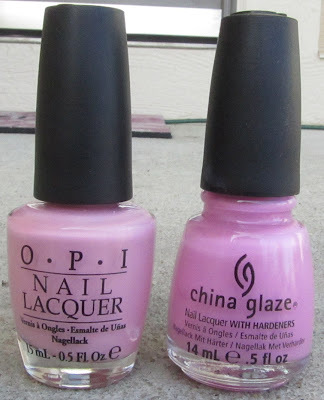 While these two look similar in the bottle, they look fairly different on the nail. Dance Baby is a darker pink, and is much more bold than Pink Friday, which is lighter and has just a touch more peach to it. They are similar but definitely different enough to warrant owning both, in my opinion. :) Now for the blues! Let me know if you guys have any other comparison requests, either with these or any other polishes. I know I am lazy and never finished cataloging my stash, so you have no idea what I have (sorry about that), but if you make a comparison request I will show you if I can! Hope these helped some people decide what to buy! Oooh great post. Thanks! This was helpful. I now know that I do not need Aquadelic because I have For Audrey (close enough for me) but still want Re-Fresh Mint. Those blues would make a lovely ombre mani all together! This is really helpful. I could not decide on Aquadelic or not. Now I know I want it. Ditto for the pink in the Electropop collection.